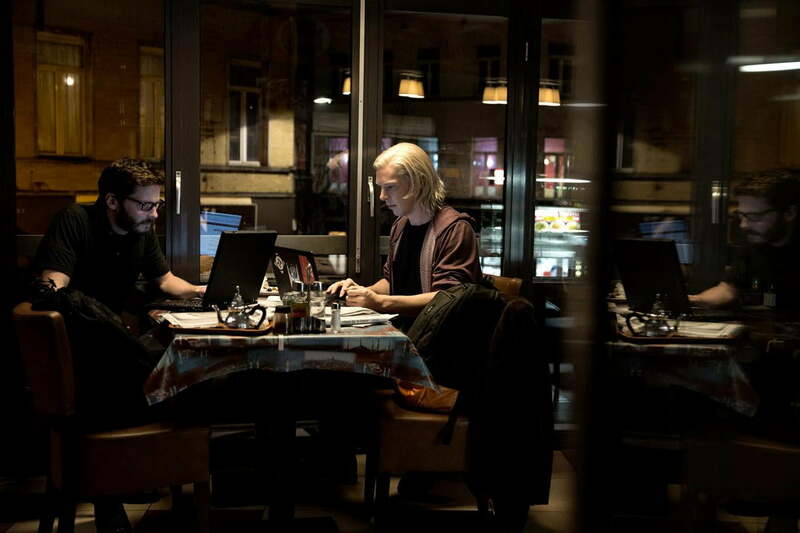 'The Fifth Estate' explores the world-altering tale of WikiLeaks and its conflicted founders. Any biopic crafted around recent events – and still-living characters – inherently shows some bias. While older subjects benefit from decades of research that have distilled down the commonly accepted truth of how they unfolded, filmmakers portraying modern subjects don’t have that luxury. They’re forced to reconcile varying accounts of an event, and lacking the perspective provided by time, often veer toward templates of modern storytelling to fill in the cracks. And modern storytelling – in the movies anyway – often veers toward oversimplification. That is exactly what happens in The Fifth Estate, directed by Bill Condon (Dreamgirls, The Twilight Saga: Breaking Dawn Part 1 and 2). Faced with the complex evolution of media in the website WikiLeaks and a morally opaque central character in its founder, Julian Assange, Condon fails to do either real justice. 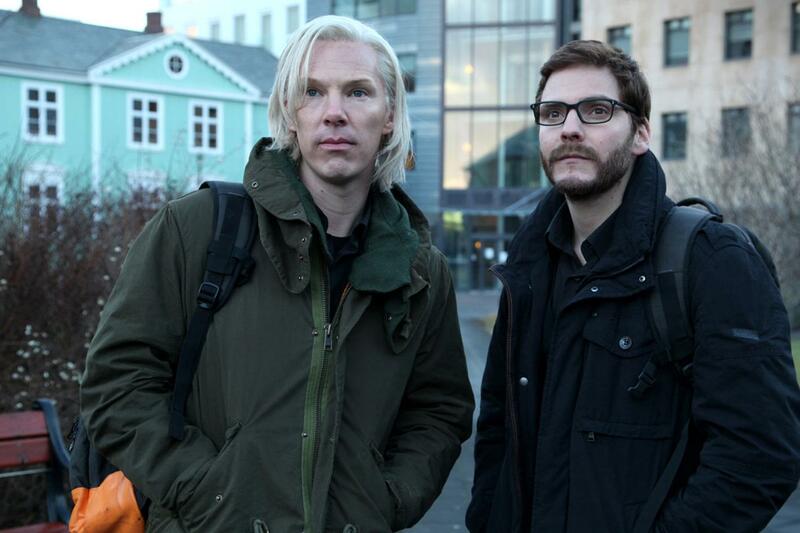 The Fifth Estate reduces this fascinating conflict of personalities to disappointing clichés. The film follows Assange (played by Sherlock and Star Trek: Into Darkness’ Benedict Cumberbatch) and Daniel Domscheit-Berg (played by rising German actor Daniel Brühl, from Inglorious Basterds and recently Ron Howard’s Rush), as they build WikiLeaks and deal with its world-changing consequences. Thanks to the site’s anonymous submission process, WikiLeaks has been responsible for several significant information leaks that led to – among other things – the arrest of corrupt bank officials, war crimes being brought to light, and government secrets revealed. It all culminated with the release of tens of thousands of U.S. diplomatic cables that showed the war in Afghanistan in a new light, and nearly sparked an international incident that critics to this day claim cost lives, although that remains debatable. The “Fifth Estate” of the title signifies how WikiLeaks represents the next step beyond the “fourth estate” of journalism. It’s a juicy idea, one that suggests how technology could overturn established forms of media and subvert the governments that grip them tightly. Alas, as the movie progresses, it stops trying to grapple with such thorny issues and focuses instead on an element of the story that can bring it to a more tidy conclusion: the vilifying of Assange. Whether you see the real-life Assange as a hero or villain, the film makes its judgment abundantly clear, and becomes weaker for it. Despite the film’s gross oversimplifications, Benedict Cumberbatch does a commendable job portraying WikiLeaks maestro Julian Assange. The movie is based on a book written by Berg, which ensures a biased portrayal as it shifts from telling the story of the website’s disruptive introduction on the world stage to the growing conflict between Berg and Assange. The two have increasingly divergent feelings on WikiLeak’s responsibility to carefully vet documents before releasing them. Berg argues that names should be redacted and individuals who worked as informants for governments like the U.S. should be shown some consideration of protection before WikiLeaks published certain documents. Assange, for his part, felt editing of any kind showed bias, and was anyway more concerned with getting documents published before the U.S. could find a way to shut them down. Having abandoned the even larger ideas of what WikiLeaks meant for media as a whole, The Fifth Estate proceeds to reduce this fascinating conflict of personalities and priorities to disappointing clichés, with Berg as the good guy and Assange the bad. Of course, we’ve seen this problem before in a biopic. David Fincher’s The Social Network was based largely on the story of Eduardo Saverin, Mark Zuckerberg’s Facebook co-founder, who felt wronged by his former friend and told a slanted story that painted Zuckerberg as the clear villain. But Fincher turns the flaw into a strength by making a movie that focuses relentlessly on that villain, who is the most interesting part of the story. Condon does the opposite, choosing to focus more on Berg than Assange, when the latter is clearly the more interesting of the two and neither are as interesting as the project that they’re working on together. In spite of Berg’s central role, it’s Cumberbatch’s performance that is more likely to generate Oscar buzz. He is portrayed as a messianic visionary; an abrasive, larger-than-life personality who lives in paranoia that is sometimes justified, sometimes not. In the characters’ own words, he is borderline autistic, and Cumberbatch rides a breathtaking line between being transparent in Assange’s ideals, while making the murky feelings and motivations simmering beneath his surface simultaneously visible. By contrast, Brühl’s Berg is fairly dull. The actor does a good job with what he is given, but the character is just not strong enough to carry the story of the “world’s most dangerous website,” as the real Berg named it in his book. A subplot that arises late in the film shows the U.S. government’s reaction to the rise of WikiLeaks and the release of the cables. 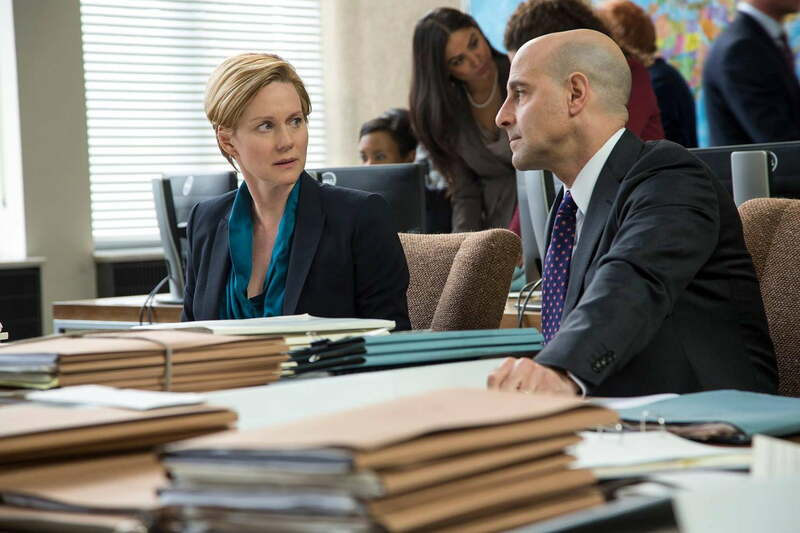 Laura Linney plays Sarah Shaw, a high-ranking member of the State Department that serves as the face of balance. She is – among other duties – responsible for an informant within the Libyan government who is forced to take his family and flee when the cables are released. 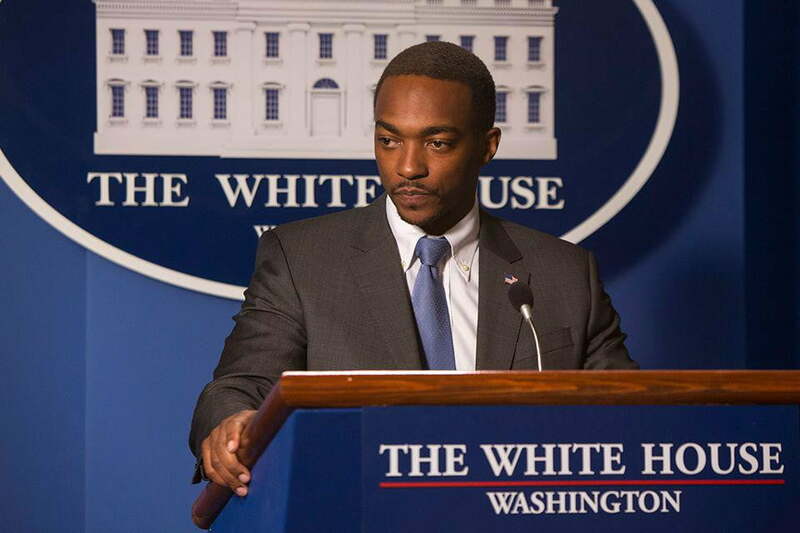 Although the performances by Linney, Stanley Tucci as her boss, and Anthony Mackie as a White-House rep are strong, and momentarily threaten to fulfill The Fifth Estate‘s initial promise of a film that tells the story of a ground-shaking moment in recent history, it’s all ultimately just a subplot that feels tacked on. 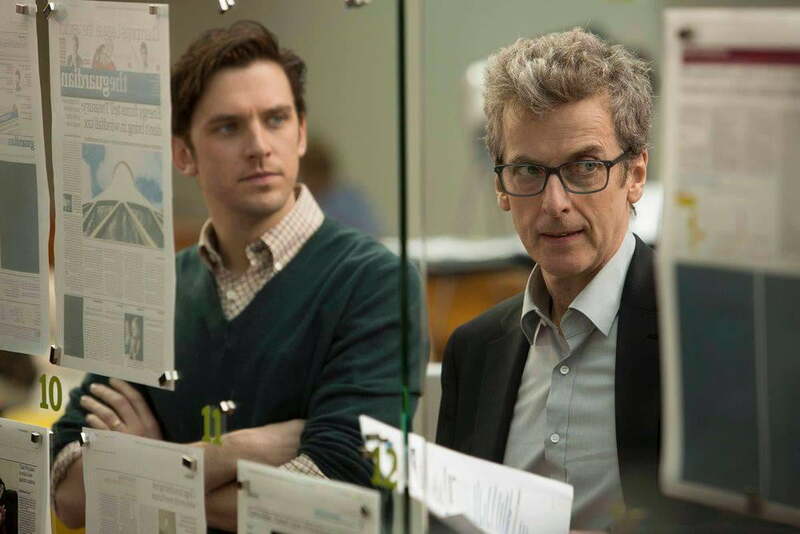 The Fifth Estate has moments of excellence that are hurt by a few fundamental storytelling decisions. The film doesn’t trust the audience with the real story; playing up a more familiar one instead. One guy is crazy and reckless; the other is noble and revolutionary. It’s the least interesting take on this material, and I, for one, was left hoping someone makes a movie about WikiLeaks.